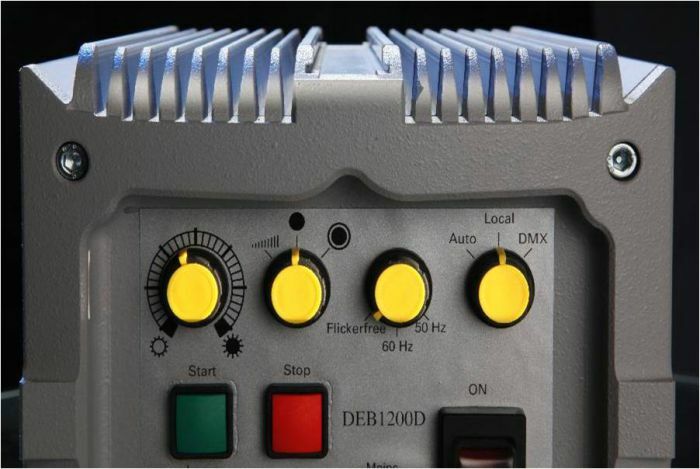 Designed to power the DLH1200D HMI Lamp Head, the DEB1200D Electronic Ballast from Dedolight features DMX control, advanced heat dissipation and multi-voltage compatibility. No effort has been spared to safeguard the unit's operation and maintain consistency of the output. Surge, overload and short-circuit protection are employed to guard against electrical spikes while PFC (active Power Factor Correction) maintains consistent current. 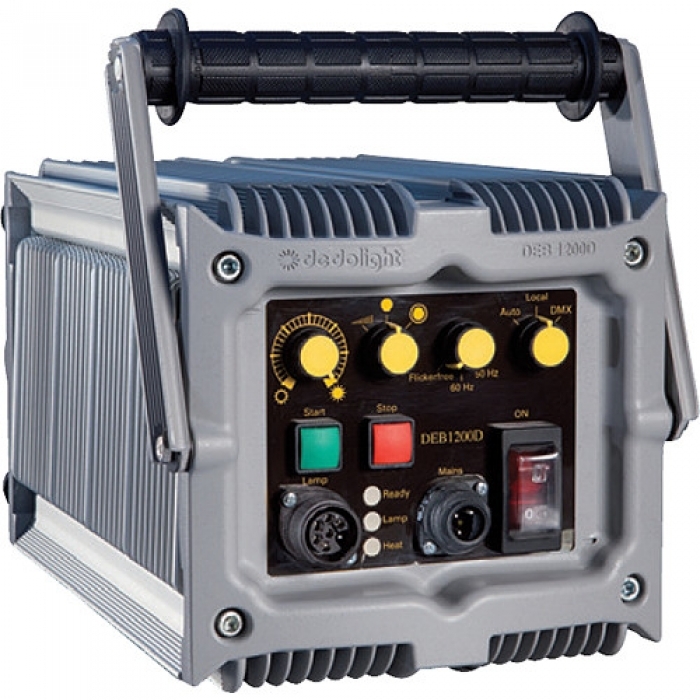 The switchable silent ventilator remains off during normal operation and operates only under high heat conditions. The unit is dimmable from 50 - 100% via DMX and like the lamp head, features rainproof construction.